Updates to Monika's profile since your last visit are highlighted in yellow. For many years now I have counseled foreign exchange students that stay a year in a High School programm in Germany in my area. That often reminds me of my time in Mansfield. I have stayed for some time in several other countries such as France, Paraguay and Brazil and travelled a lot over the world. At the moment this is not possible due to the fact being a single mom with 4 children. Monika Petersen has a birthday today. 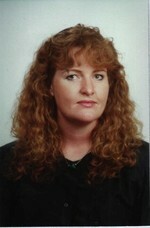 Monika Petersen updated profile. View. Monika Petersen posted a message. New comment added. Hi Nancy, this is the former exchange student from Germany. Unfortunately I will not be able to come to the class reunion but I love to hear /read about it and see pictures. Monika Petersen posted a message. Happy Birthday Lynn from Hamburg Germany from the former exchange student.Love to hear from you.